How much does a wedding in Greece cost? It is a fact that organizing a destination wedding in Greece, requires time and money! Every country has different prices for wedding events depending on various reasons. One of these reasons is your personal wedding vision, your desires, and needs. The price of your destination wedding is for sure a very crucial factor to take into account. 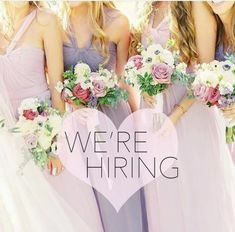 Our wedding planning company, “Wedding in Greece”, gladly presents you the exact prices of every service provided to you. “Wedding in Greece” team works with professionalism and experience. We respect our clients at most and we believe you should be highly informed about any financial detail. You will find anything needed hereby. Wedding planning & wedding design. “Wedding in Greece” cooperates with the best wedding experts in Greece. Our highly experienced and skilled wedding planning team will take responsibility for the complete wedding planning and design. Every detail will be organized according to your needs. Your wedding planner will work for you personally, trying to fulfill your wedding vision. Your wedding video is another crucial part of the ceremony. The cinematographer/videographer you will book is responsible for the total wedding coverage. Your wedding ceremony will be filmed in order to remind you of the great moments you experienced in Greece. The cost differs from expert to expert. 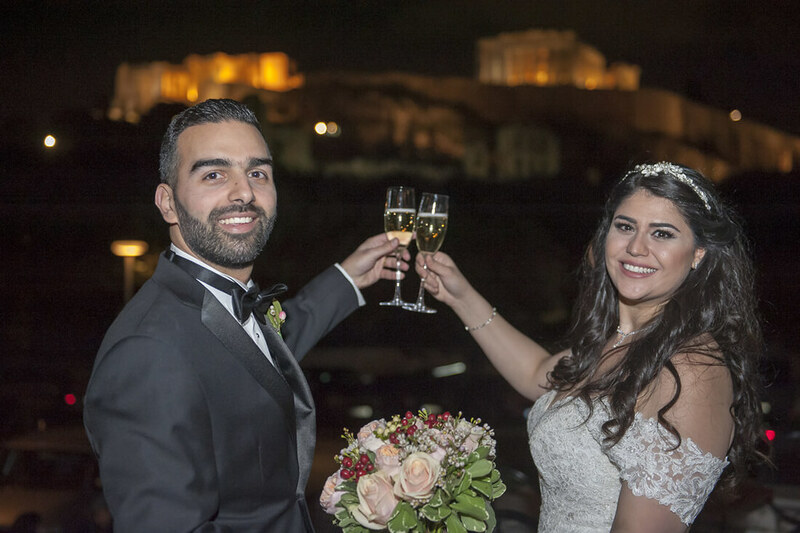 “Wedding in Greece” provides you the opportunity to live-stream your wedding. 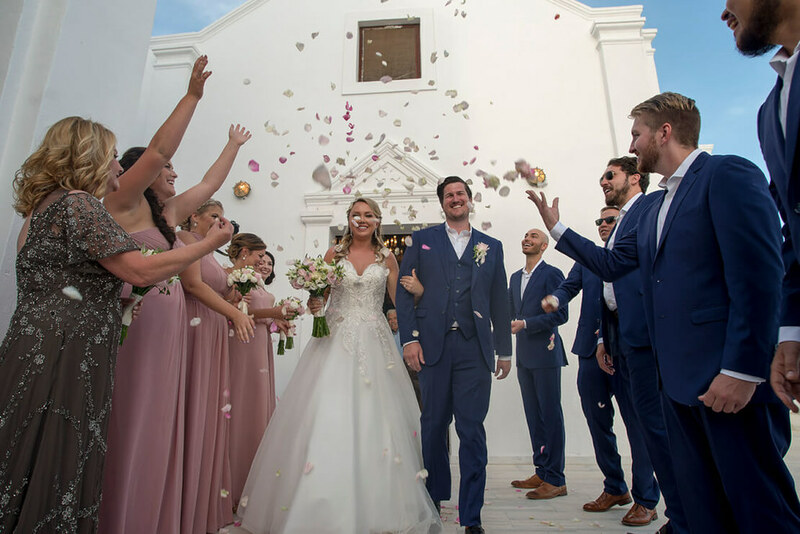 The cost for a wedding video varies from 600 to 2000 Euros and depends from requested hours of videography, the number of cameras needed, destination and extras, as aerial video (drone), camera cranes, Steadicam, etc. The cost for the live-streaming services in Greece, varies from 800 to 1500 Euros, depending on requested hours of transmitting and if the couple likes to have High Definition quality or not. 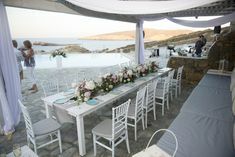 “Wedding in Greece” takes care of your wedding decoration as well. The flower decoration for your wedding will be chosen in cooperation with both the bride and groom. Beautiful flowers will embellish your wedding venue in Greece. Flower decoration service cost may vary from 500 Euros to 3000 Euros. The price depends on the wedding size and quantity of the flowers. Beutiful bridal bouquet, boutonniere, table arrangemnts, wedding ceremony arch, Gazebo, Mandap for an Indian wedding, can be designed from our florists and decorators. Our experienced wedding planning team will organize your wedding reception. The reception venue should be carefully chosen in order to be convenient. Your guests and family will enjoy a beautiful reception and dinner in a lovely venue. According to your needs and desires, we have many reception venues to suggest. You and your loved one can choose from a simple Greek tavern to a luxurious and glamorous wedding venue. Taking that into consideration the cost may vary from 1500 to 3000 Euros, depending further on the destination as Santorini island, Mykonos, Athenian Riviera(Seaside Athens), Crete and number of guests. 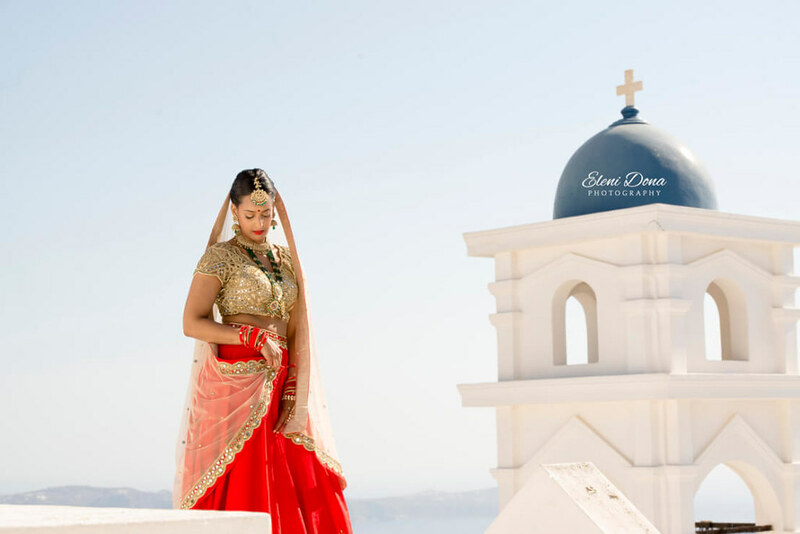 “Wedding in Greece”, by cooperated with the best and most experienced DJ’s in Greece, will provide you with DJ services for your wedding ceremony and reception. If you want your favorite music to enhance your wedding atmosphere, then you don’t have to think about it anymore. A professional DJ will fulfill your dream. The cost depends on the duration of the service, requested sound & lighting equipment and differs from one DJ to another. The total price varies from 500 to 2000 Euros. “Wedding in Greece” pays extra attention to the beautiful bride. Every woman deserves to bring out her beauty on such a special day. Our beauty services include makeup, hair-styling, and nails. Makeup artists, hair stylists and experts in styling and beauty will take care of the bridal look. The bride will enjoy all the care and attention and she will look stunning. The prices differ from expert to expert. The beauty service for each beauty vendor varies from 200 to 500 Euros. Your wedding can be a spectacular happening that will dazzle your family and friends. And how is that possible? Fireworks of course! Our wedding planning team in partnership with experts is ready to make your wedding special and sparkling. The cost varies from 500 to 2000 Euros depending on destination and fireworks show duration. “Wedding in Greece” also provides you catering services for your wedding. 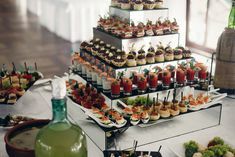 The couple and the guests will enjoy tasty delicacies. You will choose among different menus and dishes. 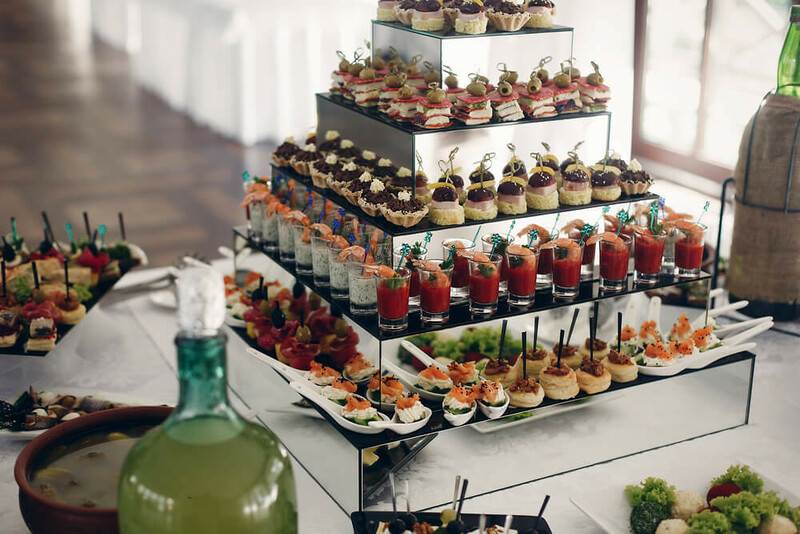 The cost differs for a sit-down or a buffet based menu. The prices depend on the type of the menu (meat, fish, veggie, Indian, Kosher, self-service, etc). The cost per person varies from 40 to 120 Euros. You and your guest will have a great time enjoying cool drinks and cocktails. A bartender will be responsible for the service. You will also have the opportunity to create your own wedding cocktail. The cost depends on the duration of the service, the quantity, and type of the drinks. The prices vary from 20 to 90 Euros per adult guest. A destination wedding requires a legal validation procedure. You will avoid all the bureaucracy as we take care of the wedding document legalization in Greece. There are different legal requirements for every wedding type. The procedure may vary from couple to couple as it depends on their country of origin, religion or other personal legal issues. The cost of the legalization varies from 200 to 500 Euros. “Wedding in Greece” just answered the most desirable question. 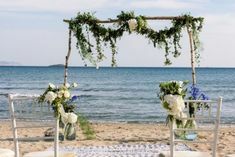 How much does to cost to have a wedding in Greece? Keep in mind that all the prices are indicative. The cost can be accurate only after the complete wedding planning and organizing process. For any question or request, don’t hesitate to contact our wedding planning team! You are welcome to ask anything you want and we are willing to solve any problem you have. 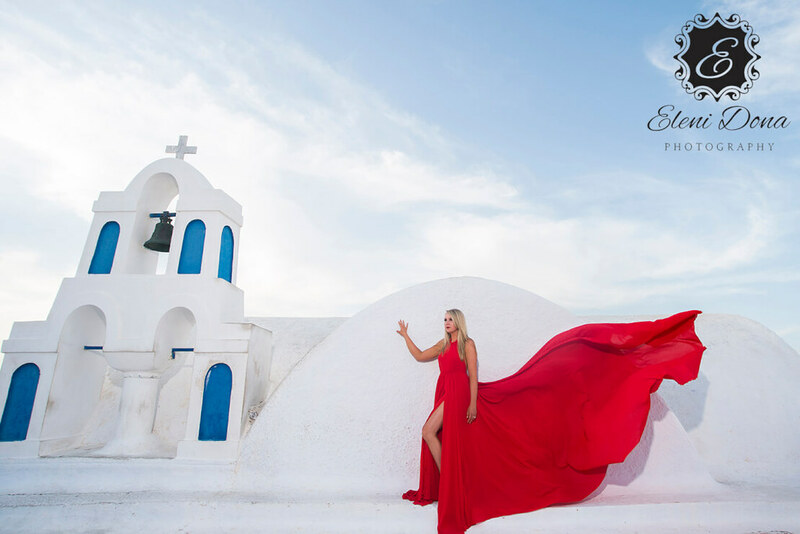 We want your wedding in Greece to be an unforgettable experience for you and all your guests.